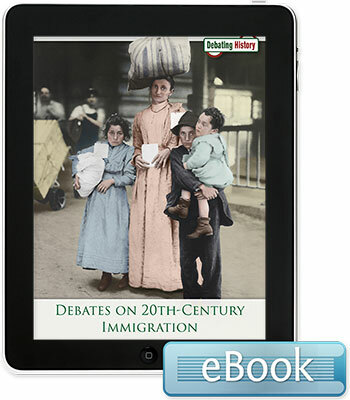 Immigration was one of the most controversial social issues during the 20th century, as debates intensified over whether immigrants adversely impact life for American citizens. Through a narrative-driven pro/con format supported by relevant facts, quotes, and anecdotes this book examines controversial issues stemming from historic events. Topics include: Did 20th-Century Immigration Harm the US Economy? Did 20th-Century Immigration Worsen Crime? Did 20th-Century Immigration Threaten American Culture? Did 20th-Century America Have Room for New Immigrants?